This detailed map is double-sided for maximum coverage. The main map covers the area from Malthouse Lane eastward to Knoll House and Knowle Hill, and The Common southward to Station Road. 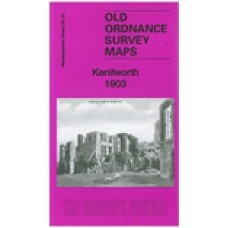 Features include Mill End area, Lower Ladies Hills area, Whitemoor area, Parkfield, railway (station is largely south of the map), Cherry Orchard Brick Works, St Nicholas church, The Spring area, St Mary's Priory ruins, Abbey Hotel, The Hall, High Street area, Fieldgate House, Nurseries, Fire Engine Station etc. Kenilworth, Warwickshire Parish Registers St. Nicholas Marriages 1630-1830 St. Nicholas Monumental Inscriptions St. Austin RC Mo..
Warwickshire Sheet 21.11 Coventry (West) 1904-11 - published 2006; introduction by Malcolm Nixon The Coventry West map covers t..
Warwickshire Sheet 21.16 Coventry (South) 1912 - published 2006; introduction by Malcolm Nixon The Coventry South map continues..
Warwickshire Sheet 21.08 Coventry (North) 1912 - published 2006; introduction by Malcolm Nixon. The Coventry North map covers a..
Parish Registers on microfiche Kenilworth, St.Nicholas; Marriages 1630 -1830 Please note: Microfiche require a microfiche reader t..
Kenilworth, St.Nicholas; Baptisms 1630 -1749 This is a downloadable PDF file(approx. 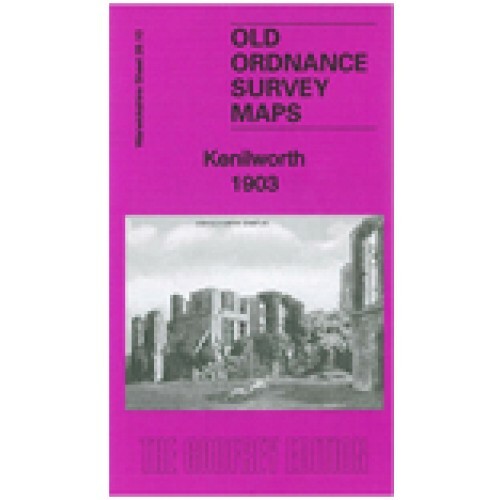 3.7Mb)Now with a clickable index File will be available..
Illustrative Papers on the History & Antiquities of the City of Coventry, 1871 Around 1816 Thomas Sharp published about a do..
Monumental Inscriptions Kenilworth, St. Austin R.C. Church There are 2 downloadable pdf files (approx. 2.7Mb) An index file and a data fil..
Monumental Inscriptions Kenilworth, St Nicholas There are 2 downloadable pdf files (approx. 13.4MB) An index file and a data file ..
Kenilworth, St Nicholas Parish RegistersPlease note that this file is too big for the shop, you will be sent a link so you can download the file ..